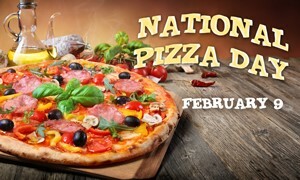 Toronto – February 6, 2019 – February 9 is National Pizza Day – a day when Canadians across the country celebrate a delicious Italian staple with all things cheesy, bready, and saucy. Pizza is a beloved food in Canada, as 75 percent of consumers report eating the comfort food favourite at least once a month. Whether you like thin crust, pan, or deep-dish pizza, National Pizza Day is the ideal time to eat a delectable, Canadian-made pizza. UFCW Canada members proudly make a number of amazing pizza products, including the items listed below. On February 9, visit your local grocery store and grab these UFCW-made pizza products!